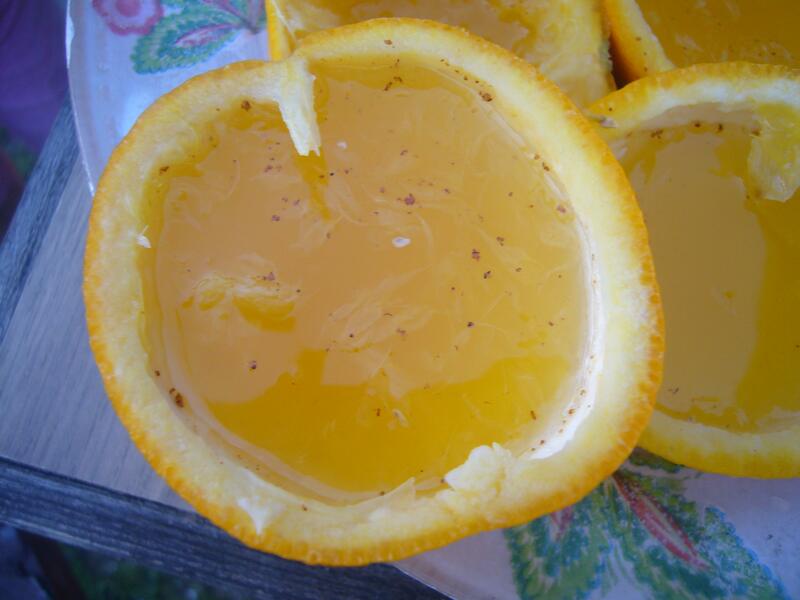 This orange jelly recipe is indeed easy and healthy. But it also looks good and kids love the way you serve it. You pour gelatin with hot water, add sugar or honey and stir it well. 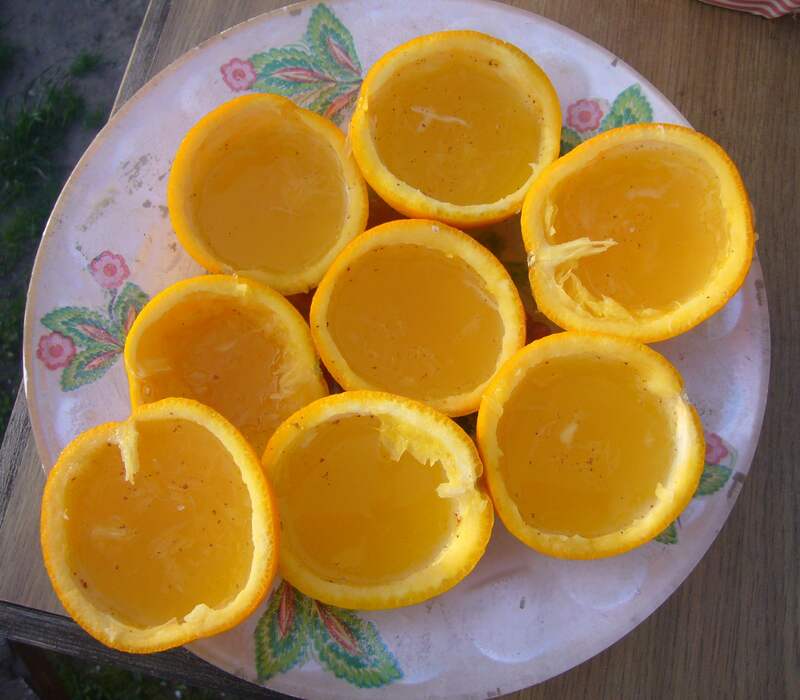 Then you slice the oranges in half and squeeze the juice out and remove all the insides without damaging the skins. You mix the juice with the gelatin mix and stir it well. Add some cinnamon and pour your jelly into the orange half. Then you set them into your fridge and freeze them. You serve your orange jelly right in the orange skins and you may use some fresh mint leafs for decoration. This entry was posted in Easy Recipes and tagged cooking ideas, cooking tips, deserts, easy cooking, easy recipe, jelly deserts, jelly in orange skins, jelly recipe, orange jelly recipe. Bookmark the permalink.